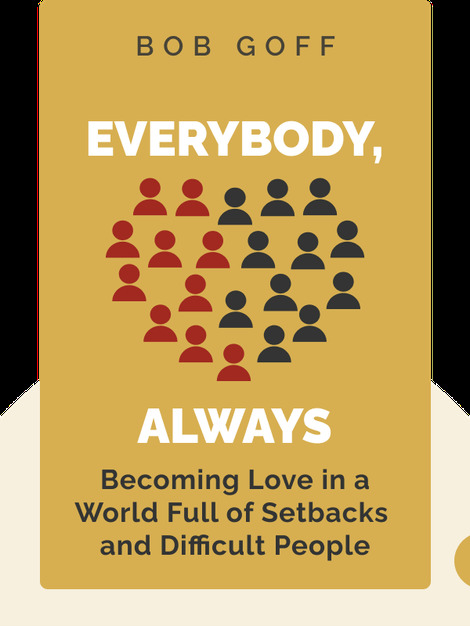 Everybody, Always (2018) chronicles best-selling author Bob Goff’s inspiring one-man mission to translate Jesus’s message of love and compassion into everyday practice. That, as he himself admits, isn’t always easy. Life is full of setbacks, obstacles and difficult people. But it is possible. By staying true to his beliefs and finding courage when the going gets tough, Goff strives to lead an exemplary life of love. 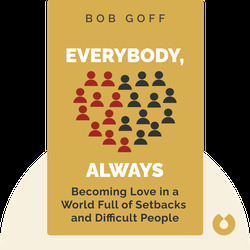 Bob Goff is the founder of Love Does, an international NGO committed to helping women and children in war zones. Active in Uganda, Somalia and Iraq, the charity builds schools and safe houses in some of the world’s most dangerous countries. Trained as a lawyer, Goff is an honorary consul for the Republic of Uganda in the United States. His previous books include the New York Times best seller Love Does.